Lucy Leonard Todd, 95 of So. Windsor and formerly of Lebanon, and Manchester, passed away on Thursday, September 13, 2018 at Manchester Memorial Hospital, surrounded by her loving family. She was born on July 5, 1923 to her late parents, Raymond B. Leonard and Alice King Leonard in Bridgeport Hospital. She grew up in Lordship, the seaside town in Stratford, CT. She attended a two room school there for six years then was bused to Stratford for middle and high school. In 1938 her family moved to Milford where she finished high school. During the war, she worked in the office of Sikorsky Aircraft . She also was an Aircraft warning spotter on the weekend on the roof of Milford High School and rolled bandages for the Red Cross. She met her future husband who also worked there prior to being drafted into the Army Air Corps. Lucy married her beloved husband John Andrew Todd on August 27, 1944 when he returned to the USA from flying combat missions. She went to live with him at his base in Laredo, Texas until the war ended in August of 1945. She was a Civil Service employee at the base. In 1948 the aircraft moved them to Dallas, Texas where they lived for 13 years. Then in 1951 John was recalled to duty with the Air Force during the Korean War and he was stationed in Greenville, S.C where they took up residence. Their first daughter was born there. In 1953 they returned to Dallas and had two more daughters. Another job brought them back to Conn. In 1961 and they settled in South Windsor where they lived. Lucy was very active in Brownies, Cadets and Girl Scout Troop 200 there with all three daughters. After they were all in school she returned to working for the State of Conn. with the Department of Public Safety - State Police Headquarters in Hartford where she was a supervisor of Communications until her retirement in 1986. In 1979, the couple moved to Amston Lake in Lebanon. They were active members of the First Congregational Church of Lebanon. Beside the joys of her family she loved to travel. They drove cross country visiting all the national parks, crossing Death Valley seeing every state except Alaska. She loved cruising and took many of them. She had also been to many areas in Canada and Mexico and several trips to Europe: visiting England, Scotland and Wales, Italy, France, Russia, Estonia, Gdansk, Greece, Monaco and much of Sweden. John predeceased Lucy on March 30, 2005 after 61 years of marriage. 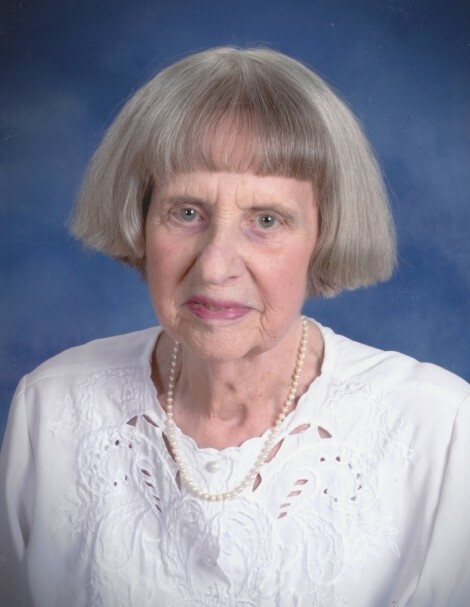 She enjoyed sewing, gardening and reading, but Lucy will be remembered most fondly by her family for the loving devotion she so generously gave to all of them. She will be sadly missed but always remembered with love by her children, Melonie and Doug Huff of Nevada City, CA, Kimberly Todd and Roger Zemek of Storrs, Andrea and Daniel LaPenta of Vernon; two grandsons, Daryl Todd, Wesley and Maria Todd; a sister-in-law, Barbara DuBois of Newburgh, NY and many extended family and friends. In addition to her husband and parents, she was predeceased by three siblings. The family will receive guests on Thursday, September 20th beginning at 10 am at the Aurora-McCarthy Funeral Home, 167 Old Hartford Rd, Colchester. A memorial service will be held at 11 am at the funeral home. Burial will follow in the New Lebanon Cemetery. Donations in her memory may be made to the First Congregational Church of Lebanon, P.O. Box 125, Lebanon 06249.